Buy Factory price buckwheat sheller for sale - Shandong Microwave Machinery Co.,Ltd. TTKS Series Buckwheat Sheller is our new patent product. It introduces the advanced foreign technology and solves the following problems: low hulling rate, high broken rate, low seeds plumpness and low yield. It is widely used in the hulling technology of bitter buckwheat, sweet buckwheat, melon seeds, peony seeds and so on. It is suitable for the equipment configuration for the large and medium buckwheat processing plant and has the features of high yield, stable running and convenient technology configuration. 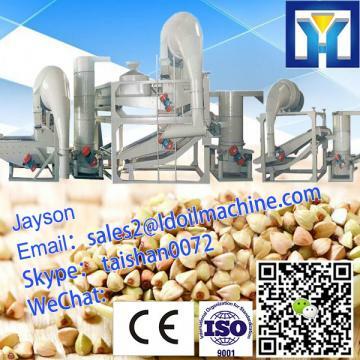 It is the most ideal buckwheat hulling equipment in our country. China LD Machinery Manufacture Co., Ltd. (hereinafter referred to as "company") was founded in 1995, which is an integration of high-tech machinery and equipment manufacturing enterprise. The company has complete sets of engineering design, research and development, manufacturing, sales and installation services.